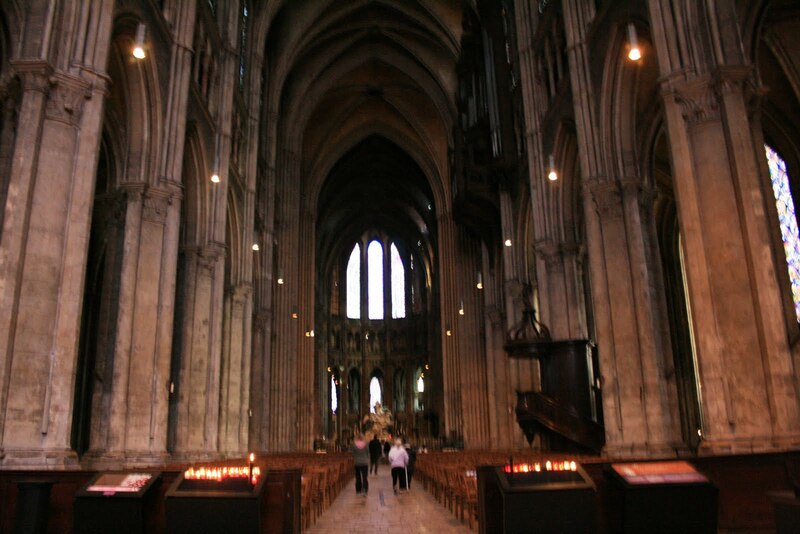 Being a blog centered primarily around travel, it seems I’m lacking a post on churches and/or religious architecture. Wherever you travel, particularly around Europe and South America (composed primarily Catholic or Christian nations), there is a church around every corner and travellers are often urged to visit their monuments to religion. I clearly remember my travels around Europe in both 2004 and 2007, where I actually got to the point of saying, ‘OMG, not another church!’ Every town, city and village has at least one church, which is usually clearly highlighted in your average travel guides as an site of interested. And I, being the good little traveler, began visiting these churches, one by one, until they all turned into one mental melange of stained glass windows, vault, flying buttresses, spires, pews, alters, etc. If you asked me to describe a particular one, it would be somewhat difficult to distinguish one from the other. 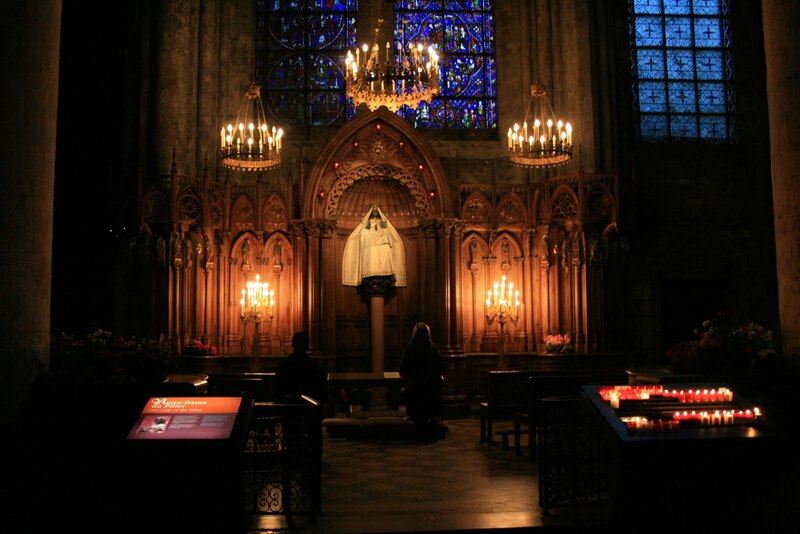 However, the cathedral at Chartres is one which stands out in my memory. Perhaps it was its grand size, its detailed and beautifully crafted sculpture work, or maybe even its magnificent stained glass windows. Whatever it was, it remember it being worth the visit. 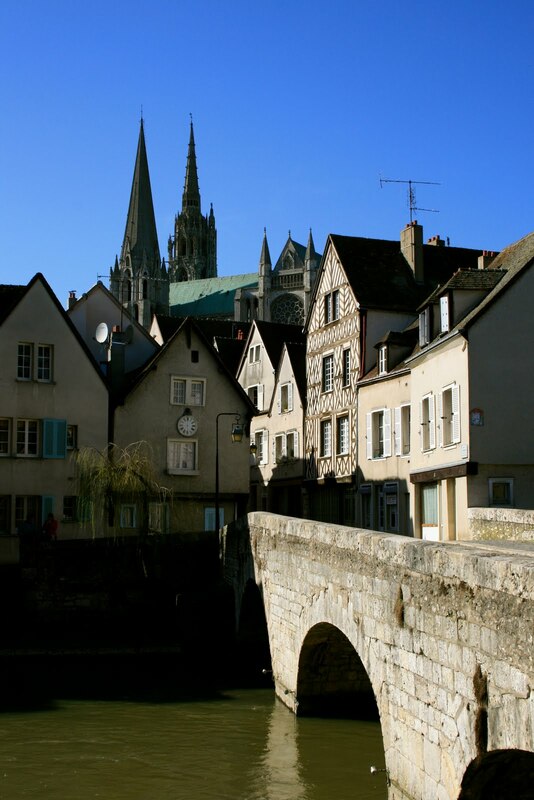 So if you’re staying in Paris for an extended period of time, or if you’re a history, architecture or art buff (I put my hand up here), I recommended taking a day out of the city and heading to this beautiful little town known as Chartres. Being an art history student studying French in Paris, and having a love of architecture of any shape and form (ok, maybe not every shape and form, but I can appreciate most styles of architecture, from late antiquity to the present) I could not miss the opportunity of living so close to Notre Dame de Chartres and not visit one of the most amazing high Gothic cathedrals in the world. 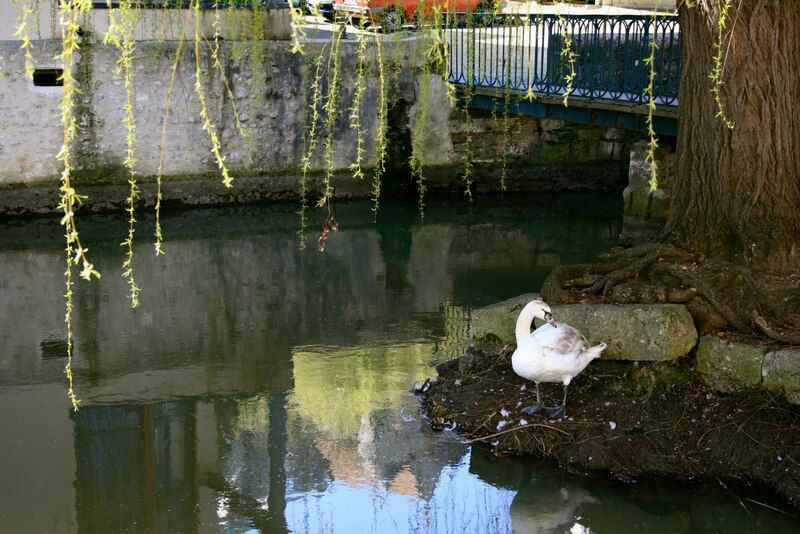 So one Saturday morning I jumped onto the train and headed towards the small town of Chartres. 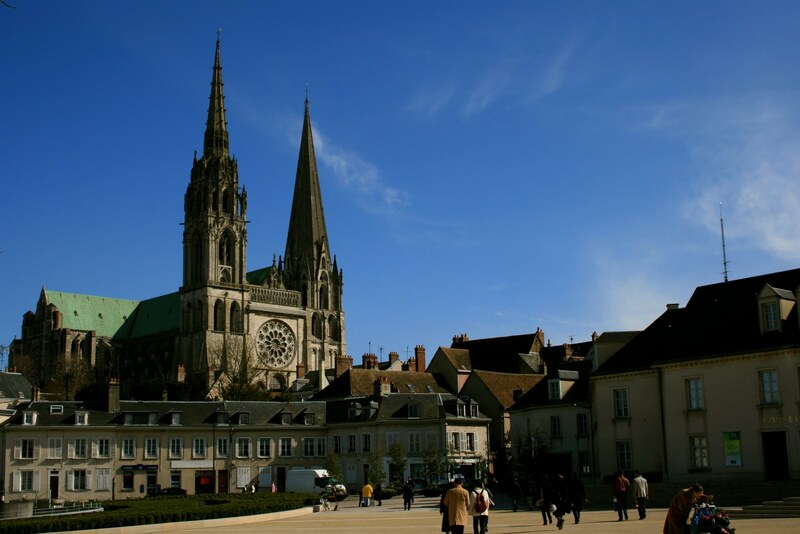 The town of Chartres is located south-west of Paris – the easiest way to get there is to take a SNCF train from Le Gare de Montparnasse to Chartres station – the train trip is approximately one hour. Once you leave the smog of Paris and its bonlieu (the grey ‘working class’ outer suburbs of Paris) the surrounding countryside is a welcoming sight. Thick forests, cultivated farmland and quaint little villages flicker past the train window. 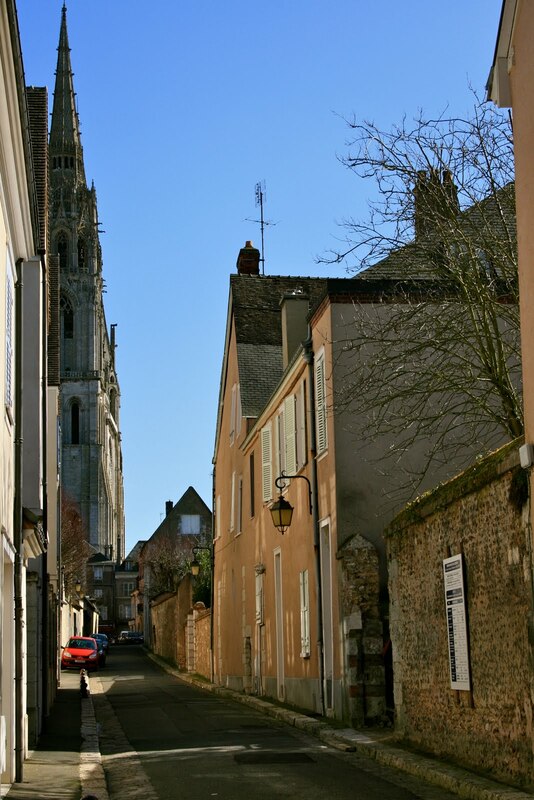 Once you arrive in Chartres, breath in the fresh air and make your way to the cathedral. Being a small town, it’s difficult to get lost between the train station and the cathedral – just look up at the skyline and once you spot those tall Gothic spires framed against the sky, it’s rather difficult not to find the Cathedral. Aside from visiting the cathedral, which is the town’s claim to fame, the town of Chartres is a rather pleasant place to spend the day. 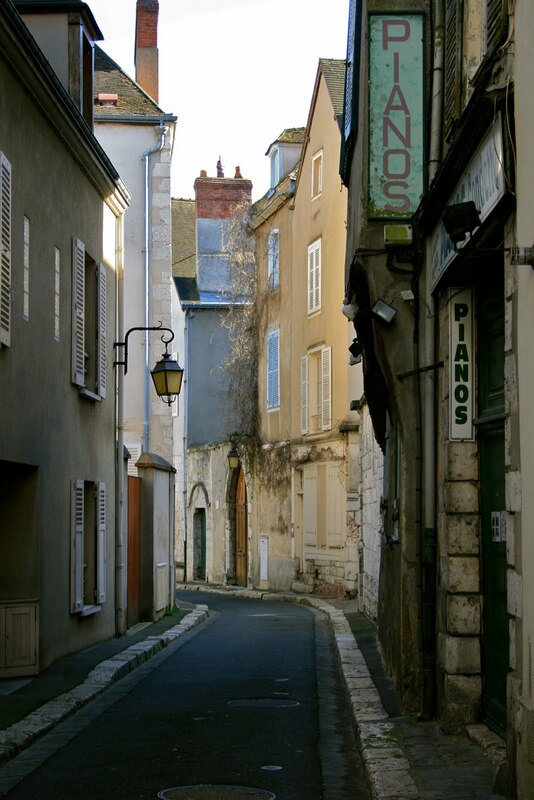 After the chaos of Paris, the small quiet streets and laid-back atmosphere of Chartres is rather welcoming. 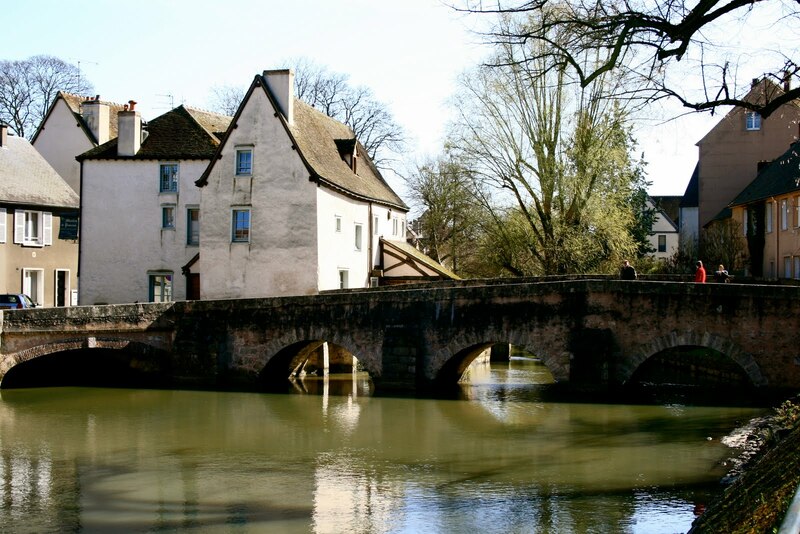 The town is very quaint – being set on the banks of the Eure River, parts of the town are connected by little bridges. 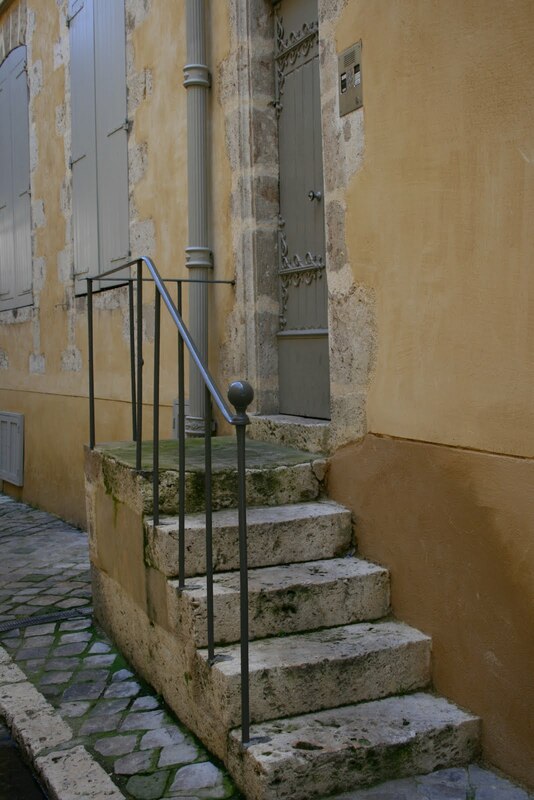 It definitely is a ‘typical’ French rural town – with interesting little side streets, cobbled stone footpaths, beautifully designed and ‘cute’ picture-book houses and the twitter of birds flying by. 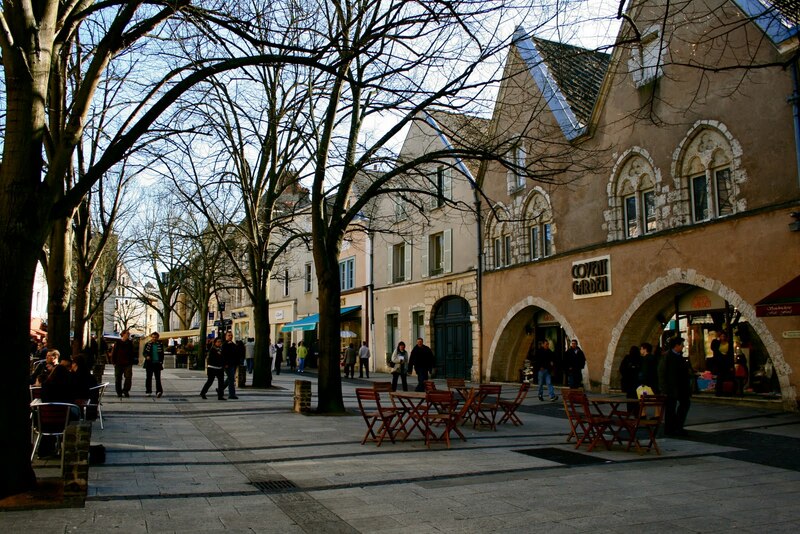 For those gourmets out there, Chartres also has a great shopping precinct with an array of shops, cafes and fresh produce markets (if you want to purchase fresh produce, be sure to arrive at the markets before midday)! And finally, the cathedral. Notre Dame de Chartres is absolutely breathtaking – the grand proportions of its stone columns and archways, the intricate and colourful stained glass windows, the impressive and tactile sculptural work… Just walking down the nave, one is awestruck by the shear size and magnitude of the structure – the space is just enormous. I once wrote an essay on Gothic and Romanesque religious architecture at university, arguing that one of the original purposes of these buildings was to subdue the populous by highlighting the power and might of the church. An being within the building, you surely get a feeling of the power and influence that the church once had over society. To think that work on the present cathedral began in 1020 and after a number of additions and setbacks, it was finally consecrated in 1260. How amazing it is that such buildings were designed and constructed over 800 years ago! 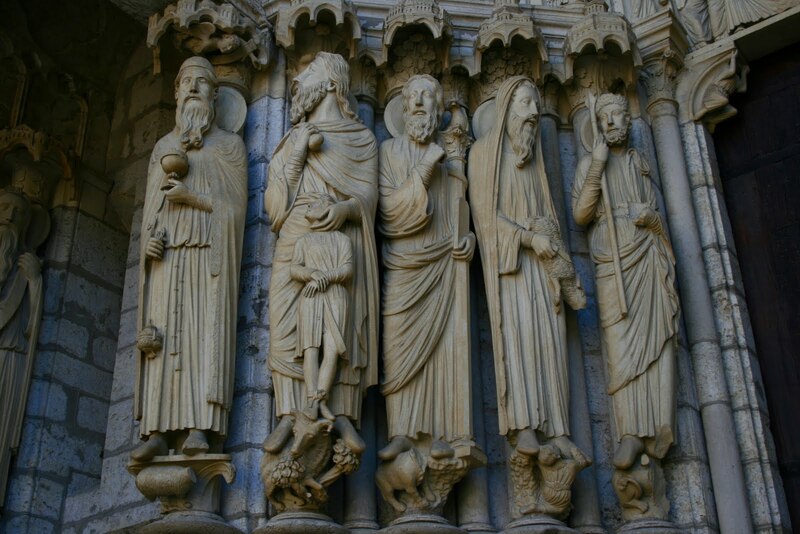 We think of the middle ages as being a period of simplicity, but we can see from buildings such as Chartres Cathedral, that they were quite technically advanced in some aspects. The building even impresses present day visitors. It is truly spectacular. 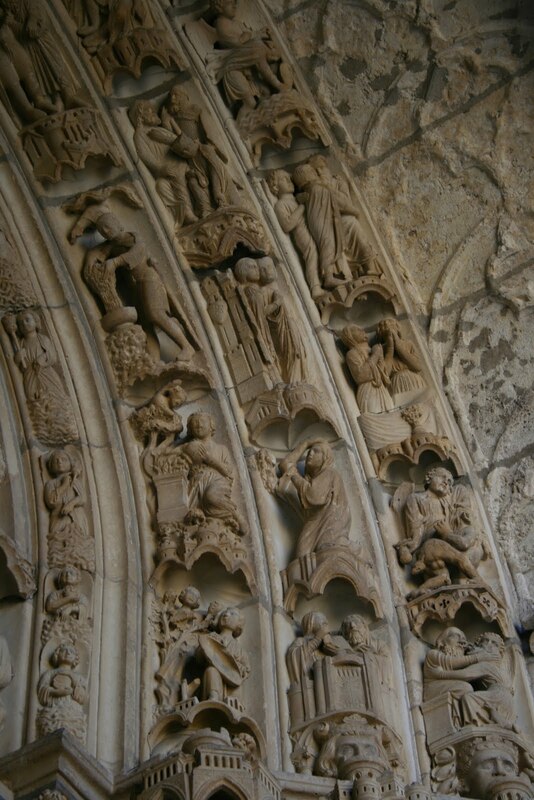 This entry was posted in Photography and tagged Architecture, Cathedral, Chartres, Church, france, Sculpture, travel. Bookmark the permalink.